Brooklyn based Sweet Soubrette will be taking the stage at Pianos on Monday, January 20 at 9PM. It will cost you $8. See below for more details. Sweet Soubrette is scheduled to release her new album Burning City on January 21. 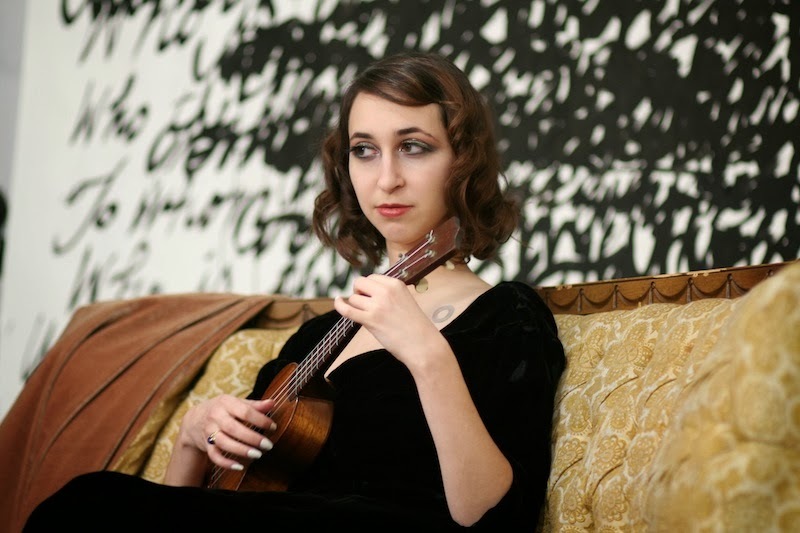 Sweet Soubrette's dark, edgy love songs feature the songwriting, vocals and ukulele of Ellia Bisker (recipient of four ASCAP Plus Awards for her songwriting), along with a talented backing band of bass, drums, piano, strings, and horns. Bisker honed her performance chops playing ukulele in the Bindlestiff Family Cirkus, and the glittery eyelashes she wears onstage hint at her vaudevillean origins. Bisker’s songs explore troubled love and the mysteries of existence. She is also a regular participant in a literary songwriting series, the Bushwick Book Club, which has inspired a number of book-themed songs, including the title track of the band’s new album, Burning City (based on the novel Slaughterhouse-Five by Kurt Vonnegut). The Brooklyn-based Sweet Soubrette has been described as “indie rock meets cabaret” (Worcester Magazine), “dark vaudeville-pop” (Philadelphia Inquirer) and “one part circus performer, one part poet, third part rock star” (CultureMob). The Deli Magazine praises Sweet Soubrette as "one of New York's most intriguing songwriting forces...rock star command and intelligently crafted music." Time Out New York says "Sweet Soubrette's style comes with a pinch of Regina Spektor quirk and a spoonful of old-timey burlesque.” Sweet Soubrette plays frequently in NYC, has appeared in festivals including CMJ, the New York Uke Fest, the Berkshire Fringe, the Tinderbox Music Festival, the Ladybug Festival, the Paris Uke Fest, and Hudson Water Music, and has toured in the Northeastern U.S., Italy, and France.